Bypass the lines at nightclubs, reserve tickets in advance, and organize your night with your friends. Unitely gives you nightlife social ticketing in the palm of your hand. Engage friends and make your nightlife experience everything you want it to be. Simple, slick, and reliable, Unitely offers unique discount and line by-pass tickets as well as VIP reservations to a venue near you. • Event Listings: Your hub for discovering nightlife, discounts and planning with friends. • Messaging/Social: Engage friends and make your nightlife experience everything you want it to be. Our unique messaging system allows you to organize your friends, send tickets and chat, even if they don’t have the app. • Tickets: Our unique discount and line by-pass tickets save you time and money. Simple, slick, and reliable, just display the ticket on your phone and walk right in. 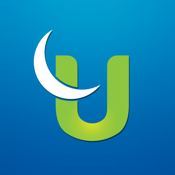 Take charge of your nightlife with Unitely!